Case: 42 mm diameter. Satin-polished CuSn8 bronze. 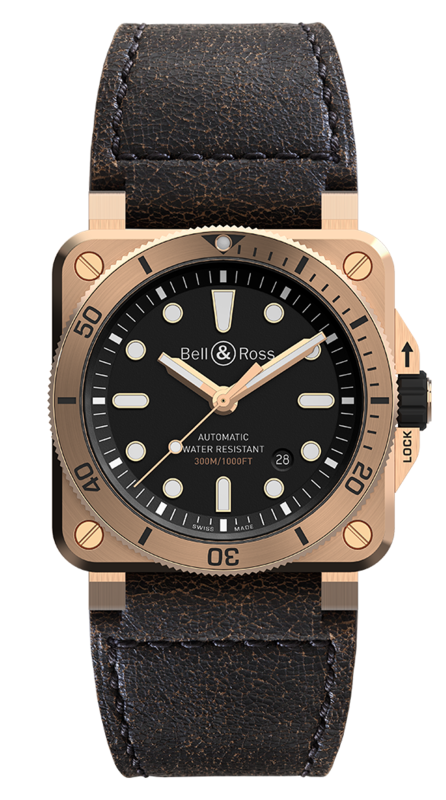 Unidirectional rotating solid bronze bezel with 60-minute scale. Dial: black. Gold-plated appliqué indices with Super-LumiNova® inserts. Gold-plated skeletonised Super-LumiNova®-filled hands. Straps: brown calfskin and black rubber.